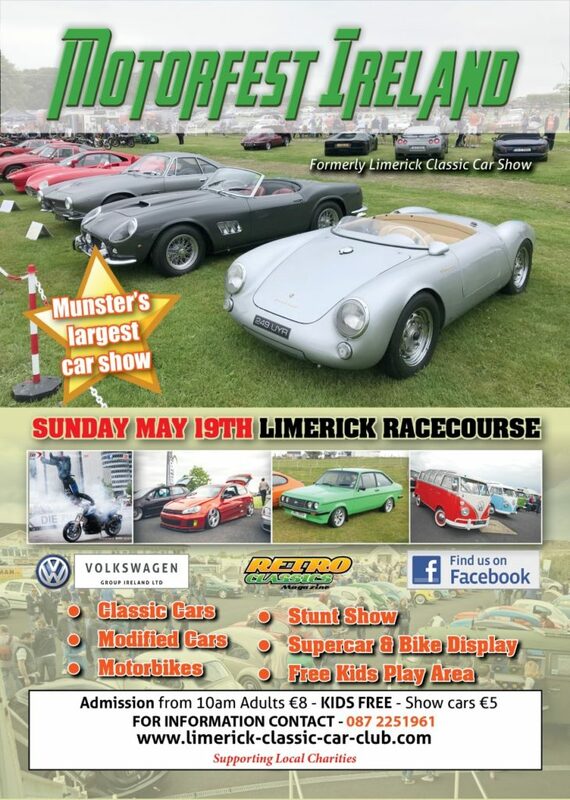 The Limerick Classic & Vintage Car Club would like to invite your club members to Motorfest Ireland at Limerick Racecourse on Sunday May 19th. All classic cars, motorbikes, modified cars, commercials and modern classics are welcome. Now in it’s 27th year, it has grown to be the largest car show in Munster. With a Supercar & Bike Display, trade stands, kids play area & restaurant, there will be something for everyone. A special feature will be a thrilling motorbike stunt demonstration.